Our Restructuring and Insolvency team was recently involved in a case which clarified a recent point of practical confusion in respect of the time and date of a directors' out of court appointment of administrators. Re Towcester Racecourse follows the unreported decision of NJM Clothing both of which discuss the new requirement introduced in Rule 3.24(1)(j) of the Insolvency (England and Wales) Rules 2016 ("Rules") that the time and date of the appointment of an administrator be stipulated on a Notice of Appointment of an Administrator ("NOA"), notwithstanding that the appointment can only be effective once the relevant statutory requirements have been met. Until early 2018, industry practice had developed following the introduction of the Rules to state the time and date of the appointment as being "the time and date endorsed by the court below" to give all parties certainty that the time and date of the appointment was the same as when the appointment actually became effective. In both cases it was considered whether this wording was valid or amounted to a remediable defect in the administrators' appointment. In NJM Clothing, the Judge concluded that if it was assumed that the failure to reference a specific time and date of appointment on the NOA was a defect, then such a defect could be remedied under Rule 12.64 of the Rules. Importantly, the Judge did not at any stage hold that the wording actually was defective, it was simply an assumption. The decision in Re Towcester takes this analysis further, explicitly confirming that the wording did not amount to a defect in, and did not invalidate, the appointment of the administrators in any way. 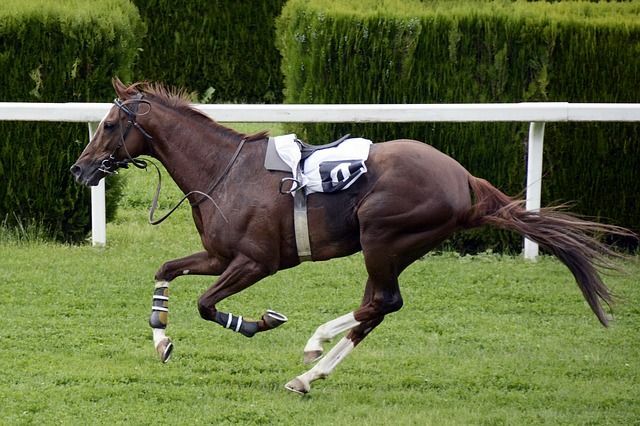 A NOA was sworn by a director of Towcester Racecourse Limited, Company (the) ("Towcester") and filed at Court on 21 August 2018 at 11:52am. In accordance with Rule 3.24(1)(j) of the Rules, the time and date of the appointment was included on the NOA and was stated as "the time and date endorsed by the court below". NJM Clothing was a contested case where the validity of the appointment was being challenged on a number of grounds and, amongst other things, the administrators were seeking a declaration that there was no defect in their NOA and that they were validly appointed at 2.50pm on 17 October 2017. The NOA in this case sought to satisfy Rule 3.24(1)(j) of the Rules using wording very similar to that of Re Towcester, by referring to the time and date endorsed by the Court on the NOA. The judgement summarises the practical order of the out of court appointment process, first, the directors must resolve to appoint administrators; secondly, they must then give notice of the intention to appoint administrators where this is required; thirdly, they must appoint the administrators; and then fourthly and lastly, notice of the appointment must be given. Paragraph 31 of Schedule B1 to the Insolvency Act 1986 ("Act") states that the appointment takes effect only once all the requirements of paragraph 29 are satisfied, the final step of meeting these requirements is filing the NOA and ancillary documents at Court. The court in NJM Clothing found that the language of the Act requires the appointment to precede, even if momentarily, the filing of the NOA. It was found that whilst both the act of the appointment and the act of filing the NOA were done at the same “time”, the appointment was made momentarily before the NOA was filed. The court then considered whether the appointment was defective on the basis that (1) the NOA did not specify, save referentially, the date and time of the administrators' appointment and (2) the NOA did not accurately record the precise moment during 2.50 pm on 17 October 2017 when the appointment was made. HHJ Klein crucially stipulates that if he "assumes" that these points amount to a defect, then they can be remedied under Rule 12.64; this assumption is vital as the Judge did not actually find that the wording amounted to a defect. Re Towcester followed much of the analysis of NJM Clothing in respect of the order to the appointment process. However, whilst HHJ Matthews agreed with the concept that the appointment takes place prior to the appointment becoming effective, he considered the fact that the precise moment or minute was not specified on the NOA to be of little importance. Practically it was considered that the appointment being made and becoming effective could all happen at the same time. HHJ Matthews did not regard it as a defect in the appointment to specify the time that the court endorses on the NOA filed in court as the time at which the appointment is made, stating that there were good practical reasons as to why the appointment time should be as close as possible to the time of filing. He noted specifically that HHJ Klein in NJM Clothing had not been convinced (or, in fact, decided) that such a reference amounted to a defect, but simply assumed that if it was the case, it could be remedied by Rule 12.64 in order to regularise the position in that specific case. Re Towcester takes this one step further by confirming that this wording does not amount to a defect for the purposes of the appointment. The decision in Re Towcester clarifies that the use of referential wording in a NOA is not defective and therefore endorses the previously adopted industry practice. This certainty is helpful as it provides clarity to all parties as to when an administrator first has authority to act in respect of a company. If an NOA referenced the time and date of the appointment as an earlier time this could raise potential arguments as to whose responsibility it would be for actions taken between the time the appointment was purportedly made by the company or directors and the time it actually becomes effective through court endorsement. For now the analysis in both NJM Clothing and Re Towcester is helpful to give appointment takers certainty that use of this practical wording will not compromise their appointment. To give clarity going forward, it may be prudent for the board minutes noting any directors' resolution to appoint administrators to clearly state that the director authorised to declare an NOA be authorised specifically to state the date and time of appointment as being the time endorsed by the court.